Please look at the promo video for the Youth Achievement Awards. 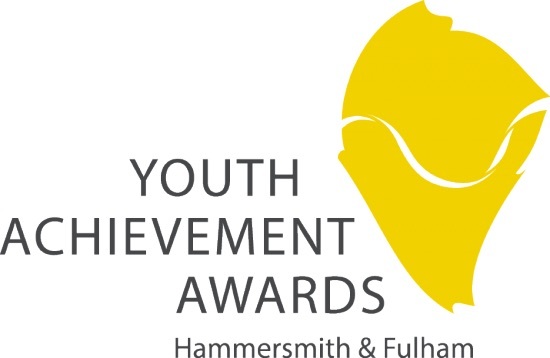 The Hammersmith & Fulham Youth Achievement Awards have been organised by our Youth Council and the Young Hammersmith & Fulham Foundation, with the support of local businesses and organisations. The awards celebrate the diversity of achievement and talent of H&F’s youth. The nominations can be from peers, teachers, youth or social workers and practitioners, for young people aged 11-25 who live, work or go to school in the borough of Hammersmith & Fulham and relate to achievements made within the past two years. Nominators must give reasons why they are nominating. Nominations close on Wednesday 16th January 2019. All entries will be considered by a panel of judges. Finalists in each category will be invited to a Youth Gala at St Paul’s Church, Queen Caroline Street, Hammersmith, W6 9PJ on Tuesday 26 February 2019, from 7pm to 9pm. Please find attached this month’s newsletter from Askew Safer Neighbourhood Police Team. Please distribute as you see fit. Hoping more people will take onus to print copies for the elderly or those who refuse to participate in modern electronic communications to save Steve & I carrying even more about in our already packed-out stab vests and pockets  Main theme of this month is – to keep reporting!! You’re all doing a sterling job feeding intel through to us by email; inbox here; Twitter inbox or via Crimestoppers. We need continued participation to get the best results which often results in us spending a few hours in Court to get a closure order or warrant. We’re doing well with these and I seriously believe is what is reducing crime as has been happening in the last 6 months thanks to my predecessor and Steve and there’s even more in the bag. Keeping us busy but it’s how we like it! A pleasure to serve. Warm welcome to the many more people who have signed up to this platform too. It’s the future! Together with Hammersmith Community Gardens Association, we have so far organised 5 very successful Edible Askew May Madness events on Starch Green. As well as being beneficial to local businesses, they have been much enjoyed by the local community. Come along and join us for a fun day! We invite stallholders to book a pitch at May Madness, our lively annual event in association with Hammersmith Community Gardens Association. It typically attracts local arts and craftspeople, and others selling cakes, plants, books etc, alongside entertainers and other attractions. Interested in taking a stall? Please contact Caroline on southwold7@tiscali.co.uk. The event takes place on Starch Green, from 11am to 3pm, on 12 May. Zero Waste in Askew Road? It’s Earth Day on Sunday 22 April, and the focus this year is on plastic pollution. It’s scary how long we have cheerfully ignored this issue even if it has been nagging away at the back of our brains. But the final episode of Blue Planet 2 with the pictures of young birds’ stomachs full of plastic pieces and the gross swirl of plastic in our oceans demonstrated the need to act so forcefully that I know I have to, and now. If I had thought in some miraculous way plastic was actually disposable instead of being near indestructible, I can kid myself no longer. It was reassuring to find my neighbours around the Askew Road are thinking the same way. That we’ve not been looking after the planet our children and their children are going to live in, and we’d better make up for lost time. I was encouraged hearing science reporter Tracey Logan describe her Lenten pledge to give up plastic on Radio 4’s Easter Sunday programme, inspired. She lives in nearby Chiswick, and she has already persuaded the Waitrose supermarket there to allow customers to bring in their own containers to buy fish, cheese, or meat. And Waitrose have just announced they will stop using disposable coffee cups nationally this autumn. And a new shop that has just opened in Chiswick, an Australian inspired dry goods store, The Source Bulk Foods where you can bring your own containers. The owner wants to turn posh Turnham Green Terrace into the first Zero Waste street in West London. Maybe my neighbours and I wondered, could Askew Road get there too – or even first? We’re not Chiswick and we don’t have a Waitrose. But every supermarket and cafe chain now has a national policy that pledges to reduce plastic pollution. So we can look up what they say and ask the local Tesco, Coop and Costa to deliver on those promises. Our local small businesses may be easier to persuade than you’d think: Kelly at Detour Cafe has been working hard to eliminate single use plastic and has even sourced straws made of recycled plastic. And she’ll soon be serving you in coffee cups that can really be recycled. The greengrocer at Atlas is getting paper bags instead plastic bags for his fruit and veg. But if we are to persuade Askew Road shops and cafes to reduce plastic pollution, we’re all going to have to think harder about how we shop and what we buy. We’ve quickly got used to taking shopping bags with us but do we pick products with the least plastic packaging? And when we get them home or to the office do we really recycle the packaging or does it go in the bin and therefore to landfill? If you need a few ideas, do try the Rubbish Diet, proven to “slim your bin” (founder Karen Cannard was on ITV last month). And buy a stainless steel bottle, preferably from one of our local shops! eg the baker October 26 stocks them downstairs. Author Nigel Reed – ‘The Dog Guardian’ – reveals his easy to follow method for a happy and well-behaved dog in a 30 minute talk. A bestselling author on Amazon, he has successfully practised his method on thousands of dogs over the past 15 years. The information he shares will give an insight into how to communicate with your dog in a language they understand. In turn you will be empowered to address any behavioural problems and become a kind and non-confrontational leader that your dog respects and feels safe with. The talk takes place upstairs at the Duchess of Cambridge, 20 Goldhawk Rd, W6 0XF, 6.30pm for 7pm, on 21 March. To ensure the evening runs smoothly it is advisable to leave your dog at home! Allow me to introduce myself: I am Jason Grant from Hammersmith and Fulham Council, and have started working with local communities to boost business and improve the area. I enjoyed my recent visit to Askew Road and met representatives of several local enterprises. Now I would like to gain a better understanding of your business concerns – maybe there are issues that need to be addressed or other changes that could be made. There may even be something we could introduce to improve the environment and hopefully also your business. I would be delighted to come and see you – ideally on a date when I can sit down with a group of you, so we can thrash out suggestions/ideas collectively. We would also like to bring to your attention some “Apps” which may be useful for you. There is an ‘App’ called “NEXTDOOR” which is for ‘neighbours’ in your area as defined in your settings. The website is https://askew.nextdoor.co.uk/. “NEXTDOOR is the private social network for you, your neighbours and your community. It’s the easiest way for you and your neighbours to talk online and make all of your lives better in the real world. And it’s free. NEXTDOOR’s mission is to provide a trusted platform where neighbours work together to build stronger, safer, happier communities, all over the world”. Borrow a ladder, organise a Neighbourhood Watch Group, track down a trustworthy babysitter, find out who does the best paint job in town or ask for help keeping an eye out for a lost dog. Specifically in the Askew Ward recently there have been notices of items being offered for sale (hamster cage, etc. ), the Christmas comes to Starch Green notice, Yoga classes, piano teaching, flats for rent, etc. This App enables you to report items of concern to the Council and is easy to use and effective …. Once set up click on “Begin”, Click on the map to show where is the problem, take a photo of the problem and give a description, add hashtag and category and then “Send”. Courtesy of Cathnor Park Area Action Group newsletter. Chocolate! Long popular in the UK as a naughty-but-nice confectionery, dessert or sweet hot drink, now so cool and on trend that it has its very own three day show at Olympia. There is much more to it than a quick sugar rush. Come and learn to savour the joys of real chocolate with Marie-Pierre Moine and Karen Gaudin. Karen started her professional career in the family restaurant in Western France at a very young age. While training she developed her knowledge of food and cheese in particular. Then about 3 years ago a series of events lead to a craft chocolate Tasting: what had been just a interest became a passion. Marie-Pierre got hooked early on the taste and texture of dark chocolate by treating herself to pain au chocolat on her way home from school. A food writer and editor she is now on the Board of the Academy of Chocolate. Kelly Delautour is kindly opening her Detour Cafe for our sitting down tasting. The evening will include a surprise welcome canapé, a (small) glass of tawny port, a tasting of approx. 8 different chocolate bars, and a sweet ending. There will be a chance to buy raffle tickets and win exciting prizes. All profits will go to The Upper Room. Ticket £10.60 for chocolate tasting PLUS glass of wine. Space limited so booking essential, email info@askewbusiness.co.uk to book and pay. Our monthly get together is on 31 October 12.30-2pm at The Orchard Tavern, 136 Askew Road, W12 9BP. The Orchard will be providing the food. It would be very helpful for seating arrangements if you could email us at info@askewbusiness.co.uk to let us know if you are coming and what your choice of food is. Interested in a holistic approach to fitness? Anisha from Wendell Park’s Lucid Balance will explain the benefits of yoga at this evening event hosted by ABN. Lucid Balance is a community-centred studio offering bespoke yoga, barre and meditation. All classes complement each other and seek to empower you! The yoga and barre fusion sessions are not confined to a particular lineage or style. They are a multidimensional experience – a synergy of movements woven together into a balanced sequence. What’s more, the studio is a social hub as well as a place to do exercise. See lucidbalance.com for details. Please join us at The Orchard on 26 October to listen, drink and mingle with neighbours.